This little boot has character and is slip-resistant thanks to safeTstep! 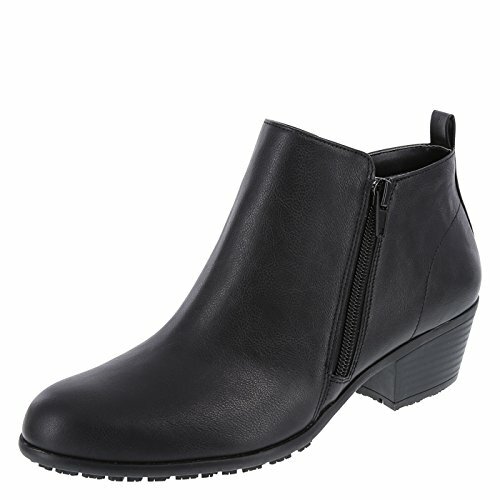 It features a faux leather upper, side zipper, soft jersey lining, signature padded 24/7 Comfort Insole with extra heel cushioning, 2" block heel, and an oil- and slip-resistant outsole. Manmade materials.